Thank you to the local gentleman who passed on this lyrical non-objection from Historic Environment Scotland to the planning application seeking permission to demolish yet another piece of Dunbar’s heritage. Reading between the lines HES are saying very politely to the local planning authority that this is a building worth saving in its current context. While not a material consideration, the building could theoretically be moved to another location without entailing excessive costs (and has done so at least once before!). One wonders what the local planning authority will have to say about that should a proposal to move it emerge. Thank you for your consultation which we received on 19 February. Historic Environment Scotland have reviewed your consultation, and we consider the proposals do not raise issues of national significance, so we can confirm that we do not object. In our view the tin tabernacle at Westgate adds interest to the streetscape and contributes to Dunbar’s Conservation Area. While it lacks the embellishments given to some tabernacles, i.e. there is no decorative entrance porch or bellcote, it does nevertheless remain a good example of this once common, now increasingly rare, building type. The timber work to the three lancet windows, adjacent door architrave and bargeboards stand out, and along with its current colour scheme (these building were often more richly coloured), helps to articulate the structure and provides visual interest along Westgate. These buildings were often erected as temporary churches or church halls, and could be re- erected elsewhere when and if more permanent accommodation was provided. We are aware the building has been included on the Buildings at Risk Register for Scotland. The information contained within the entry indicates the tabernacle dates from the 1870’s – originally constructed in Falkirk and later re-constructed in Dunbar. OS Map evidence suggests this did not happen until at least the late 1930’s. In considering the tabernacle’s contribution to Dunbar’s Conservation Area in more detail, Westgate is not one of the main streets in the conservation area; the eastern section appears in the later nineteenth century, originally connecting Lawson Place with the north end of the High Street, and also now leads west into the inter-war housing estate at Parsonspool, which is outwith the conservation area. The appearance of the tabernacle contrasts with both the neighbouring Victorian/Edwardian buildings and the inter-war housing of Parsonpools. This contrast, as noted above, adds interest, however, we have also taken into consideration the reported date of the tabernacle’s re-construction, and along with its more secluded position along Westgate, consider its loss will not raise issues of national significance. However, in reaching a decision on this application, your Council will be mindful of the undoubted interest of the tabernacle and its contribution to Dunbar’s Conservation Area. The loss of the tabernacle will have an adverse impact on the historic environment and requires an appropriate level of supporting information. The application, as it stands, does not include an assessment of the tabernacle’s importance within the conservation area or a robust argument for its loss against national or local policy. We do note the Design Statement states the structure is in a dilapidated condition, however we would suggest this statement (without any evidence to back it up) does not support the demolition of a good conservation area building. Your Council may also wish, in tandem, to evaluate the contribution the proposed replacement building makes to the conservation area. We would naturally encourage an approach that retains, adapts and upgrades the tabernacle to give it a new long term future. Due to the materials and construction methods of these structures, we do recognise they can be challenging to adapt. Nevertheless, having a more detailed understanding of its current condition will allow your Council to reach a more informed decision. We would be happy to provide further advice on the proposals if this will help your Council’s assessment of the application. In addition, our conservation team may be able to advise on how the building could be successfully repaired and upgraded. 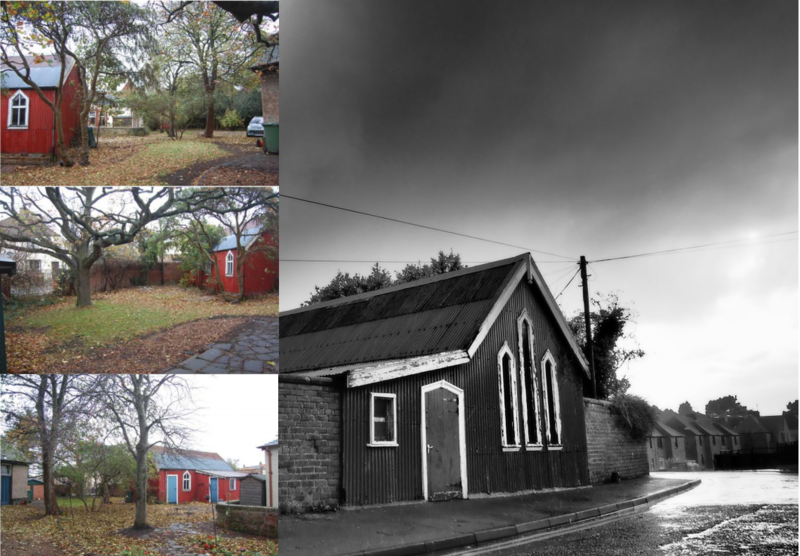 Next Next post: Going going gone – Has Time has Run Out for Rare Dunbar Tin Tabernacle?